If you are searching for tile and grout cleaners in Collin County whether the service is for your home or business, The Grout Medic is here to serve you. What you need is a local company that understands your needs based on the climate and other things that affect the condition of your tile and grout in this Texan county. Collin County is a populous county with many families residing in the area. It is also the second most affluent county in the state following Fort Bend. A number of colleges and universities are all over the county with some school districts as well, such as Anna Independent School District and Farmersville Independent School District. It is near Denton County with some of its cities partly lying on the mentioned region. Collin County has indeed a lot to offer when it comes to attractions, such as the humanmade reservoir Lavon Lake, the scenic ranch site Southfork Ranch, and the Heard Natural Science Museum and Wildlife Sanctuary that has nature trails and a few interactive exhibits. Historic Downtown McKinney is also one of the top places to visit while in Collin County, especially for those who want to get to know the background of the county and the Texans. For families with kids, Hope Park has playgrounds that young children will surely love. You will never run out of enjoyable things to do in Collin County but what the residents dread is going home to find their homes dirty, especially their tile and grout. We have the solution for you: The Grout Medic will help you solve your cleaning problems for your home and office. 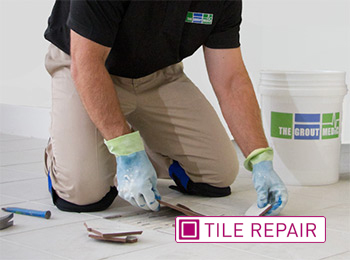 Whether you need to have your grout removed and replaced or you need thorough cleaning that uses strong but safe techniques, The Grout Medic is for you. We have been serving Collin County for many years now, and we offer various services depending on the needs of your tile and grout. Our reliable services produce fantastic results at the best price you can find. We always take a look at your situation first, and we will give you an estimate that you can afford. Our technicians will take care of the rest of the work for you. This way, you can continue with your daily routine or explore more of Collin County. If you need us to do more than just clean your tile and grout, such as removing and replacing grout, you can trust that we will handle the job with flying colors. The process is often expensive and messy, which is why many homes and businesses choose to do the task themselves. With The Grout Medic, you will never to worry about the amount to pay for our services, especially when you see the results. Call The Grout Medic if you live in Collin County, including the areas of McKinney, Plano, Allen, and Little Elm. We serve these places, and we guarantee that homeowners and businesses will be satisfied with our job. Our local experts understand what the residents go through when it comes to cleaning tile and grout. Get your free estimate today! There are many benefits of contracting The Grout Medic for all your tile and grout cleaning needs in Collin County. Whether you’re looking into buying, selling, or just trying spruce up your property, we can help you to make your tile and grout shine as it did the day it was first put in.